After a CAPITAL investigation found around a fifth of people in the East Midlands we asked admitted to taking dangerous selfies - CCTV pictures have been released of people taking pictures on a level crossing in Derbyshire. 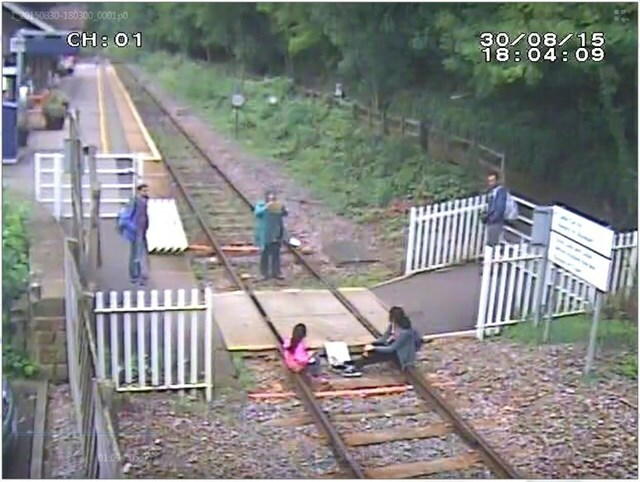 Video footage from Matlock Bath station in Derbyshire shows adults and children posing for pictures, sitting on the track and conducting phone conversations while walking along the line. Network Rail says people don't have enough respect for the railway and how dangerous it can be. NR operations risk adviser, Martin Brown, said: "Level crossings in rural, picturesque settings such as Matlock may look like good opportunities for a photo but the railway is not a playground. Over 30 trains and 500 pedestrians and cyclists go through the Matlock Bath crossing each day. Inspector Eddie Carlin, of British Transport Police (BTP), said: "The photos captured are extremely worrying. We are really concerned someone is going to get seriously injured or killed at the crossing. "Trespassing on the railway is extremely dangerous and can have tragic consequences for those involved. I have had to tell devastated families that their loved ones are not coming home due to incidents such as this and it's heartbreaking. NR has closed more than 900 crossing over the past five years and is investing #100 million to improve safety. Around 6,100 crossings remain in operation.